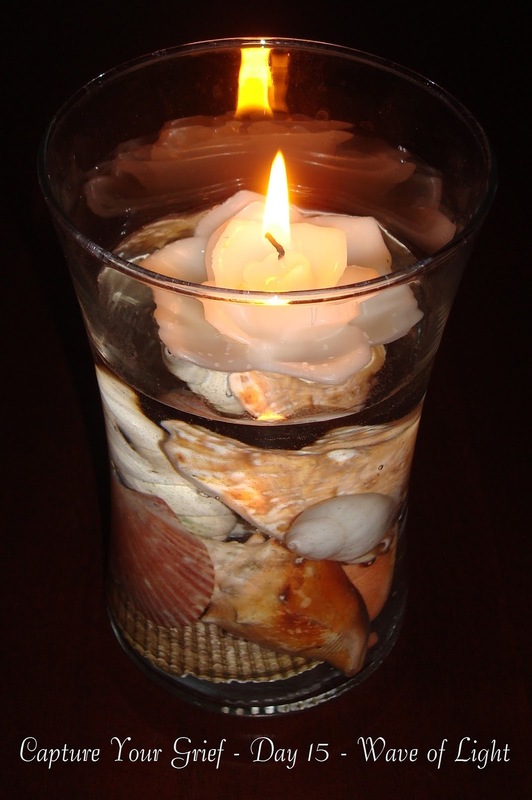 Today’s topic for Capture Your Grief is Wave of Light. I am so thankful for the community of others who’ve experienced the loss of a child. Not that I want anyone to have to go through that, of course, but for those of us forced to be in this group, it is great that we are here to support each other. I lit and burned this candle almost a year ago. Since I didn’t light a candle at 7:00pm tonight, I thought it fitting for me to use this picture again, as it represents the light that will forever shine in my heart for Faith. I would like to continue to see members of this child loss community speak out to educate others on what can happen and ways it can be prevented. I would also like to see more movies and books made and written by this community to share as much as possible. As you light your candles of remembrance, I encourage you to always be a light for the one(s) you have lost for the rest of the world to see.